In last couple of years, Quora has emerged as an authentic website where industry experts answer questions asked by other people. Now Quora pages appear at the top of search engine result that means it is getting more and more popularity as well as authenticity. In case you haven’t heard of it, Quora is a question and answer website and service where people ask questions and any one can answer. It has an amazing voting system where people can vote up or vote down an answer. In short, Quora is quite similar to Yahoo Answers but the thing that makes it a distinguished service is the presence of industry experts on this platform. Not only answers, but users can also vote up or vote down comments. 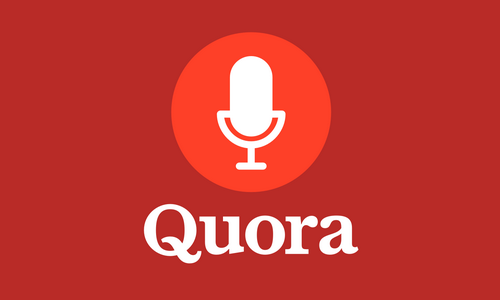 It is pretty clear that with the current growth rate, Quora would have more than a billion users from all over the globe. Quora mobile app is available for all major mobile operating systems including Android, iOS and Windows Phone. Quora mobile apps have almost identical user interface and functionality on these platforms. The Android version of the app has some room for improvement; for example, the question feature should be part of the main screen instead of being buried in sub menu. Also, a separate Quora app for Android tablets is not available but instead tablets use the same mobile version which is not perfectly optimized for larger screens. On Android devices, Quora app has a top tab as well as a bottom tab. The latest version of Quora app is available on Android devices with latest OS version and older version lacks some features. For example, on latest version Quora app has an “Ask” button on the top right corner of the screen that allows users to ask a question. This “Ask” button is not available on older versions. On the top left corner, you would find a “Search” button that allows users to search particular questions, answers, topics and even people. The company has been tirelessly working on making its search feature better and better because without amazing search capabilities, the quality of contents does not matter. The app has three top tabs which are Feed, Bookmarks and New Questions. From the Feed tab, you can see your Quora feed with latest and popular questions and answers. You can bookmark questions as well as answers and you would find them in the Bookmarks tab. In case you want to answer questions asked by other users, you can go to New Questions section and answer some newly asked questions. The bottom tab includes Read, Write, Notifications and You; the Notification tab shows notifications regarding your contents and your interaction with the community. The You section shows your preferences and profile which you can edit from the mobile app itself. The Read and Write sections are for reading contents and answering questions. You can download Quora mobile app from relevant app store for free.